Laura Mercier Portofino Summer 2011 Makeup Collection. Looking for a style change in the new season? Your makeup style is one of the best areas to start with. If you've ever wanted to look and feel like an Italian beauty, the latest Laura Mercier Portofino collection might just be the perfect alternative for the fabulous summertime makeover you secretly hoped for. Updating your makeup style is one of the easiest and most easily reversible style changes that can really put you on the spotlight. With the ever changing runway makeup trends and the multitude of collections released every season by beauty companies all around the world, sticking with a less than flattering makeup style should definitely not be an option worth considering. 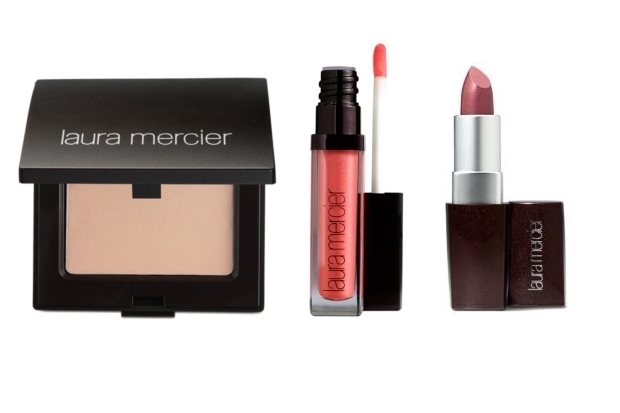 For the summer season of 2011, the Laura Mercier brand takes inspiration from the wonderful Italian village Portofino in order to create simple, yet refined makeup products that impress with their simplicity. Shying away from the wild, bright colors that flooded some of the most important runways this season, the brand focused on creating fabulous alluring shades that will match most skin tones. The central piece of the collection is the Riviera Eye Shadow quad ($40). Containing four different shades, the eyeshadow palette has a pronounced navy inspiration which can be easily spotted if we take a closer look at the shades available: Deep Water Blue, Sandy Beige, Soft Sky Blue and Crisp White. Another product in the collection designed to help women get closer to perfection in terms of makeup is the Sheer Crème Glow in Golden Pink($35), an easily blendable highlighter that can provide a healthy, celebrity style radiant look that will ensure you will achieve a flawless, head-turning look every single time. In need for a slightly more dramatic tool to really bring out the eyes? The Tightline Cake Eyeliner ($22) available in 6 incredibly alluring hues such as Bleu Marine, Charcoal Grey, Forest Green, Mahogany Brown, Black Ebony or Plum Riche will surely help you achieve the impressive eye makeup you dream of. The smudge and transfer-free formula will ensure an effortless application as well as a long staying power, so you won't have to worry about frequent retouches. 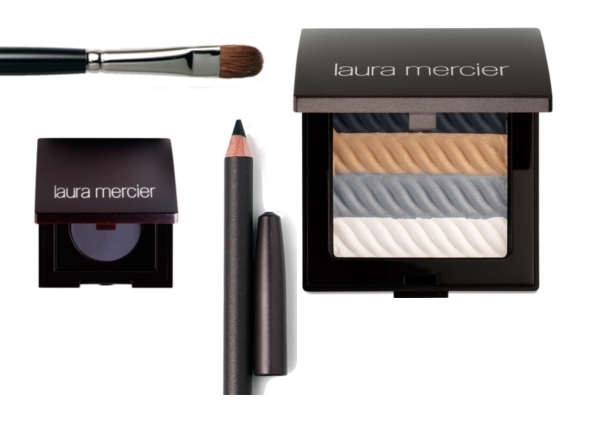 The Laura Mercier Eye Pencil ($19) can be a fabulous alternative for those who like a perfect precision that enables them to define their best features in a matter of minutes. The textured eye pencils are available in three wonderful hues: Black Extreme, Midnight Bleu and Special Brown. Those who see their lips as one of the most attractive and seductive facial feature will also have plenty of options to choose from. The Lip Glacé collection features a series of shiny, long lasting color lip glosses in lust worthy shades such as: Baby Doll, Bare Beige, Bellini, Blush, Bonbon, Brownberry, Cocoa Light, Sparkling, Crystal, Nectar, Lilac, Plum Noir, Rose, Opal, Violet and many others. The Crème Lip Colour lipsticks($22) can be the perfect choice to finish a lightweight summer makeup. The creamy formula will hydrate and protect the lips while the feminine colors will ensure your luscious lips look absolutely irresistible. A few shades to choose from are: Caramel, Rose, Cinnamon, Bing Cherry, Expresso, Italian Summer, Audrey, Aurora, Tangerine or Truly Red. During summer, when the UV rays are more damaging than during the rest of the year, an adequate protection is an absolute must. 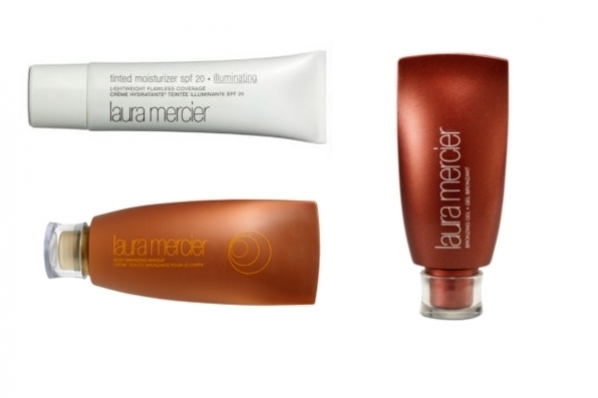 The Laura Mercier Illuminating Tinted Moisturizer SPF 20 ($42) can definitely come in handy as its light formula is perfect for the intense summer heat, while the illuminating particles offer a fresh, youthful look that will never fail to impress. 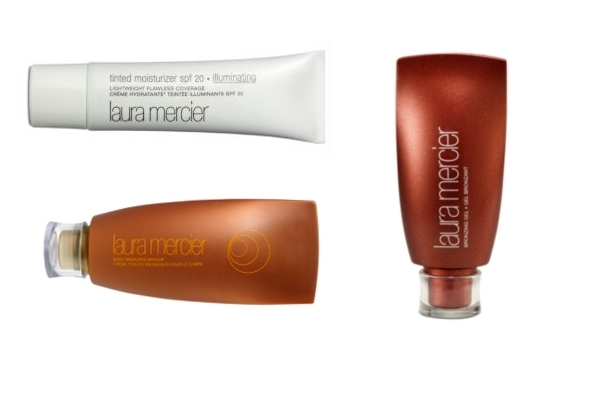 For the perfect sun kissed look, Laura Mercier Body Bronzing Makeup ($38) is another fabulous choice worth considering.